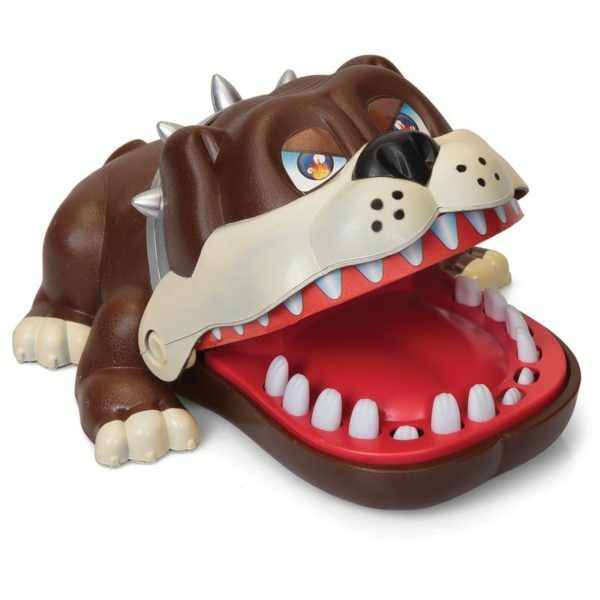 Biting Bulldog game with snapping jaw action. Players take turns pushing down the teeth in the dog’s mouth. Most of them depress without consequence, but one tooth is randomly selected each game to trigger the mouth shutting mechanism. The player who triggers it loses the game.